The City of Barcelona has been using ICT to improve urban functions for more than a decade now, with dispersed projects running in various departments. It also has a long experience in developing Living Lab initiatives. Today the City of Barcelona is in the process of developing a formal smart city strategy. After a major organizational reform, the Urban Habitat Department (the ‘Smart City’ department) was created. It is a new umbrella structure to coordinate services previously provisioned by individual City Departments regarding infrastructure, ICT, urban services, urban planning, environment, housing, architecture, energy and water, etc.. Thus, previously siloed governmental departments are called to synchronize their strategies to achieve common goals. In addition, the formal strategy has a global outlook, seeking to forge an open environment for the collaboration among government, industry, academia and citizens. It comprises three individual axes: ‘international promotion’, ‘international collaboration’ and ‘local projects’. The number of local projects is over 100 –some examples are the New Municipal Network, Energy efficiency in buildings, Smart Lighting, Smart Water, Smart Transportation, Smart Citizens, O-Government & efficiency, Optimized Waste Collection. 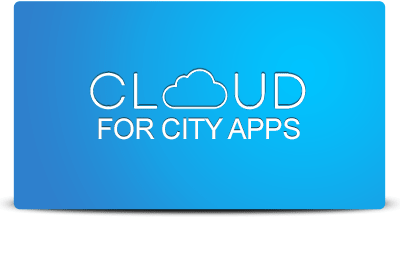 Access the website of Barcelona smart city here. Ajuntament de Barcelona (2013). Barcelona Smart City; The vision, focus and projects of the City of Barcelona in the context of Smart Cities. Available here. Ajuntament de Barcelona (2012). Barcelona Smart City Tour. Available here. Bakici, T., Almirall, E., & Wareham, J. (2012). A Smart City Initiative: the Case of Barcelona. Journal of the knowledge economy. Special Issue: Smart Cities and the Future Internet in Europe, 135-148. doi: 10.1007/s13132-012-0084-9. Available here.